The body is able to regulate its own temperature, even whilst external temperatures rise or fall. Extreme bouts of hot or cold, as well as some underlying health conditions, can cause body temperature to fluctuate, causing discomfort. Then it is recommended to measure it with a thermometer. Body temperature is measured with Celsius (°C) or Fahrenheit (°F). The average body temperature is 37 Celsius, to Fahrenheit, that’s 98.6 °F. So, do you want to know how to convert Celsius to Fahrenheit, for example, how to convert 38.8 Celsius to Fahrenheit? Read on to know it. What Are Celsius and Fahrenheit? Heat and temperature are measured with thermometers, which are recordedwith either Fahrenheit or Celsius. Which measurement unit is used depends on regions. Celsius, also known as centigrade, was created in 1742 by Anders Celsius, a Swedish astronomer. The scale is standardized as 0 for freezing point, (freezing when below zero), and 100 for the boiling point of water. 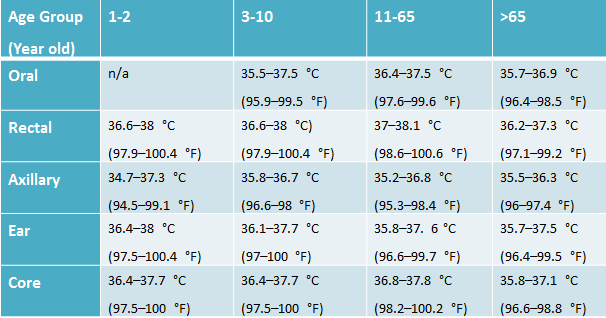 The Celsius measurement scale has been adapted by regions where use metric units, and it is also consistently used in scientific work and research. Fahrenheit has 32 as the point of freezing, and 212 for the point of boiling water. This system was first devised by Daniel Gabriel Fahrenheit, a German physicist. The Fahrenheit system was originally used in most English speaking countries, while the Celsius measurement was generally used in most other countries. That was until after 1970 that the majority of English speaking countries adopted the Celsius system. Thus, based on the equation, you can convert 38.8 Celsius to Fahrenheit, which should be 101.84 °F. 38.8 °C: Is It a Fever? Note: Always remember that rectal temperature is usually higher than core temperature, core is usually higher than oral, and oral is generally higher than auxiliary. Younger than 3 months of age. 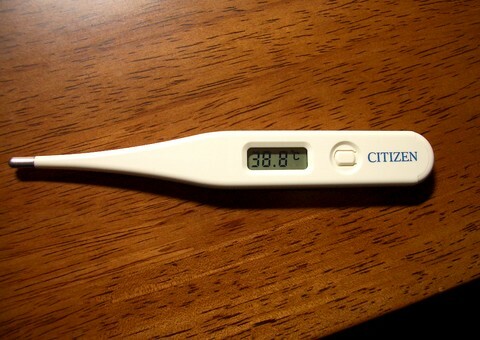 If your child's rectal temperature is exceeding 38 °C (100.4 °F), call your doctor as soon as possible. This is true regardless of whether you child seams sick or not, as children who are so young may get sick fairly quickly. 3 months to 6 months of age. If your child has a temperature of 38.8 °C (101.84 °F) or higher, then the same as above is true, and you should call a doctor as soon as possible. 6 months or older. If you child has a fever of 38.8 °C (101.84 °F), then ensure that you watch your child carefully, and call your doctor if the fever rises, or if it remains persistent for 3 days or longer. If your child of this age has a fever to 39.4 °C (102.92 °F), then call your doctor immediately, regardless of whether your child seams sick or not. How Do Ultrasonic Waves Work?